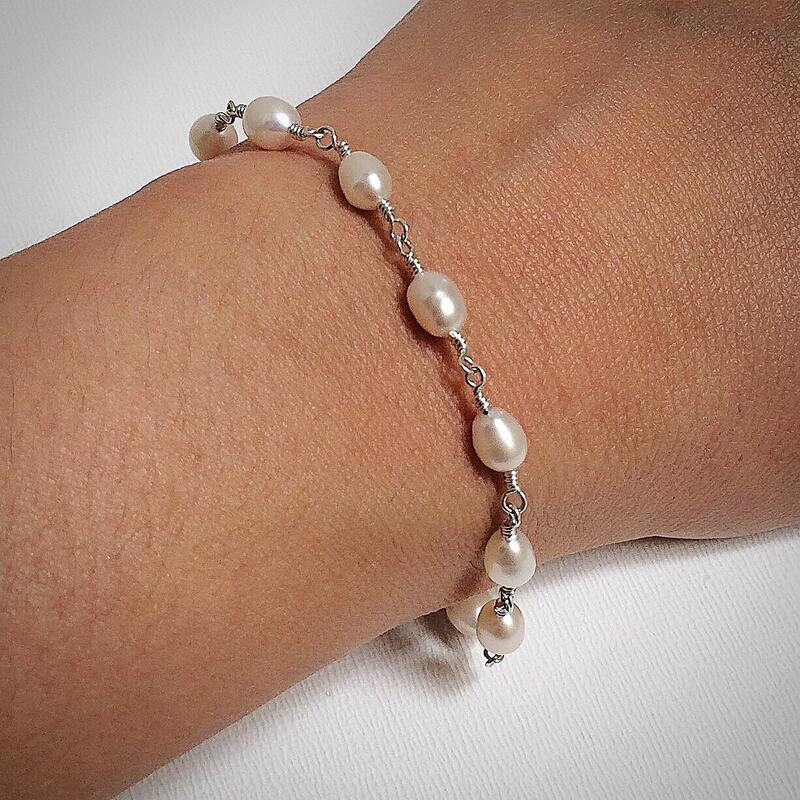 This elegant bead chain bracelet features 5mm white potato pearl beads. 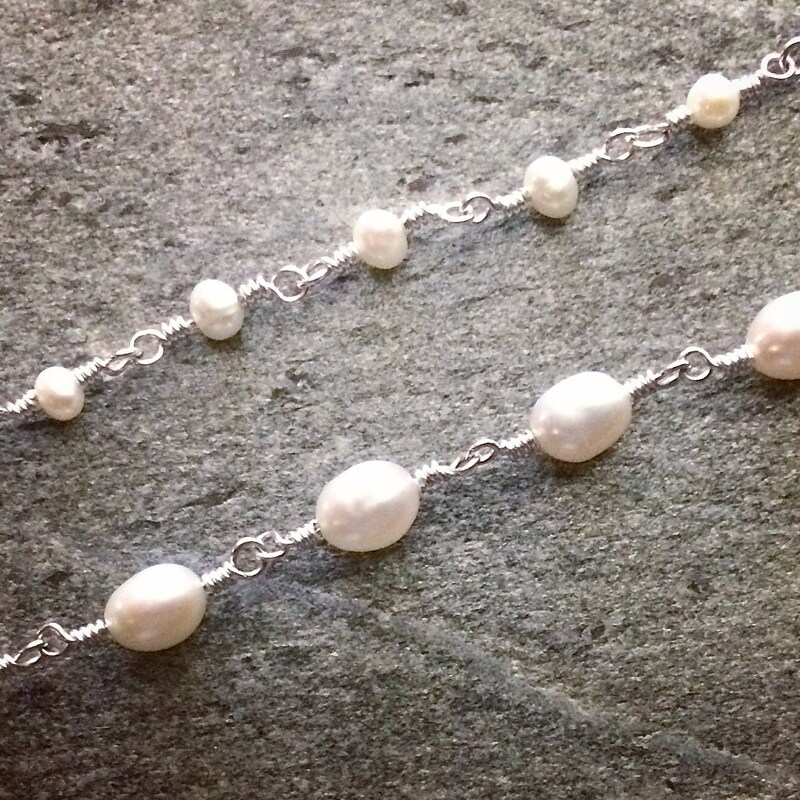 Each pearl is hand wrapped with sterling silver wire giving it a more modern feel. The clasp is a sterling silver lobster claw. 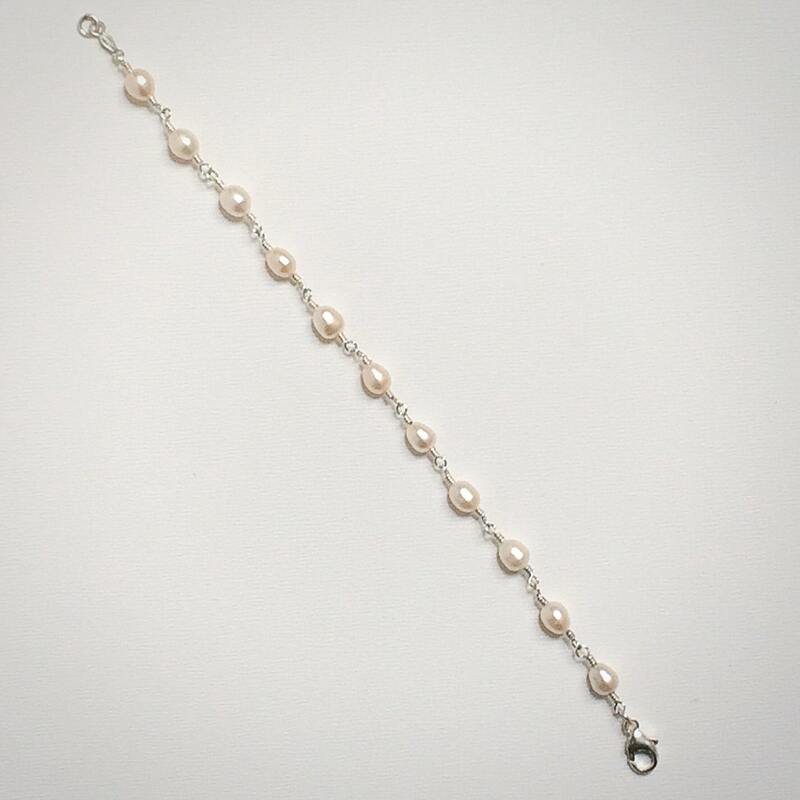 This bracelet measures 7 inches in length. Please contact us if you require a different length.